Excellent work, Tati! Beautiful warm colour and lovely light! Thank you very much for the nice words , Joaquim. A few years ago, I seriously studied the history of ancient Egypt. 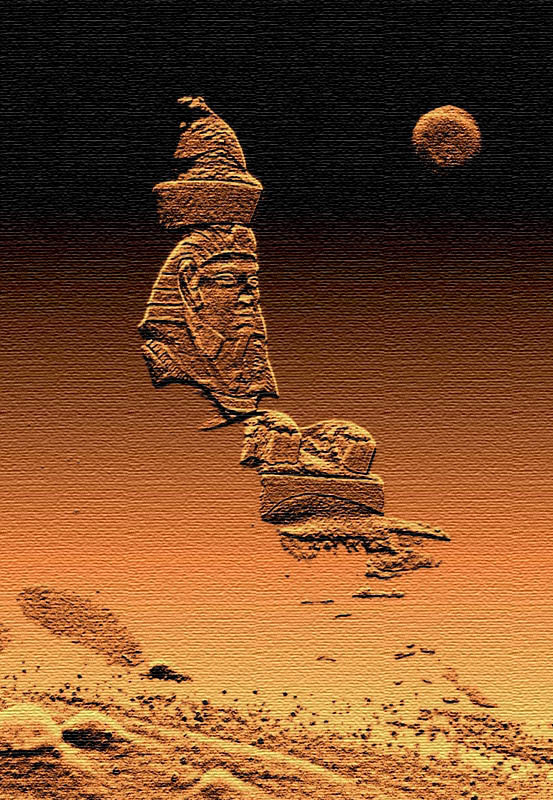 In my picture I wanted to show the whole image of mystical mystery ancient civilization. I was there three times, and it is always fascinating! I think that Egypte has a kind of mysticism difficult to explain! We always find something new. Something that we discover for the first time. It's really fantastic. Congratulations, Tati , for your beautiful and "mystical" work! Dear my friend, Jose. I dream to be there. I do not want to go trail tourists. I know that this is the risk. I studied a lot of history of ancient Egypt. Curse pharaohs - is the most terrible ... Do not you? Спасибо, Геннадий, за приятный комментарий. Я много пробую экспериментировать с ФШ. Иногда немного интересно получается. Классная обработка и цветовые переходы очень нравятся! Спасибо, дорогая Виктория, за приятный комментарий. А сначала это были заснеженные Ижевские сфинксы у входа в боулинг-клуб "Фараон"... Так "подать" как есть, я не захотела... И моя фантазия завела меня в тот вариант. Thank you very much for the nice words about my work, Manuel. This is my experiment.